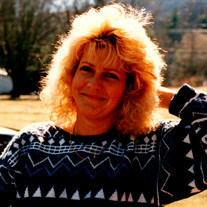 Lori Benfield Cook, age 55, of Kingsport, TN formerly of Roan Mountain, passed away Monday, July 9, 2018 in Kingsport. Private disposition will be held at a later date. The family of Lori Benfield Cook created this Life Tributes page to make it easy to share your memories.